My short film is screened on 8th and 9th of june in Melbourne.... wow. Who'd want to be a part of this wonderful animation school? I would! Here's a lovely frame by frame analysis of the trailer. This is a Stop motion Animation project for T.V. and we are looking for 12 Animators only. Whether you have had any experience with this medium or not if you feel you have the passion for it then apply today. 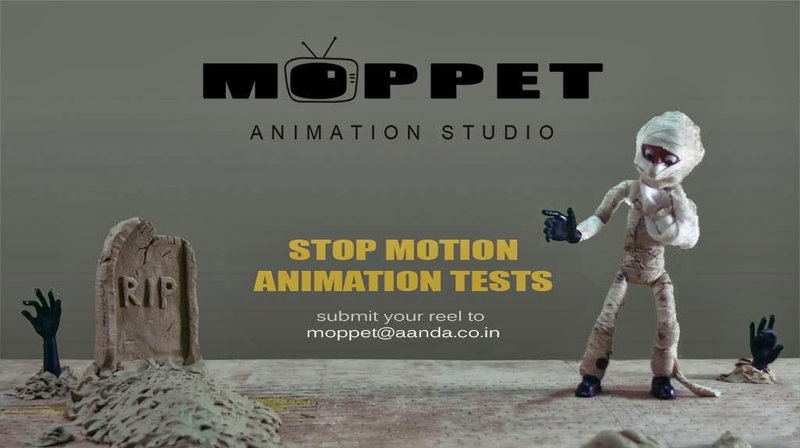 Send your animation reels to us and if you meet our requirement we shall call you for a test. The attached image is not from the show but the stage set for an Animation test. Alright folks! Its time to break the ice. 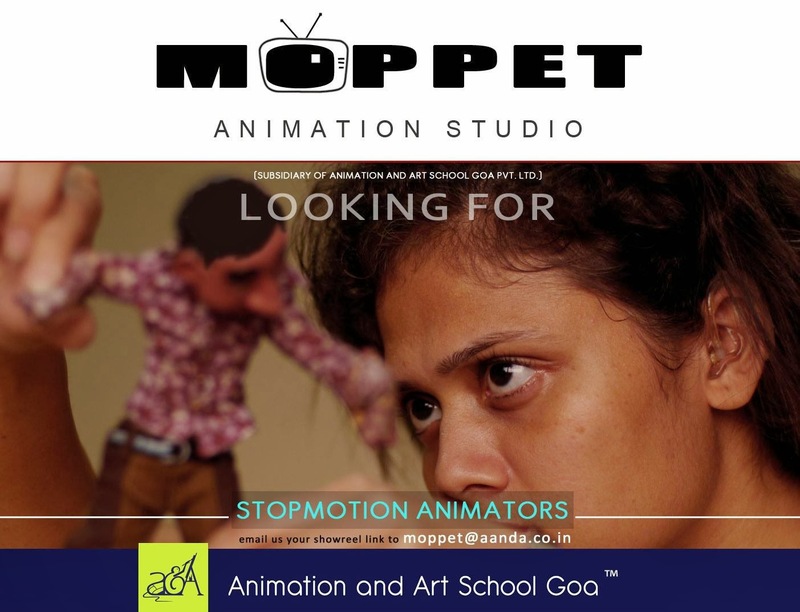 Animation and Art School Goa is excited to announce it's production arm "MOPPET ANIMATION STUDIO". We begin our journey with Futuristic Vehicles, Robots, Laser Guns, Racing Pods, Crazy Creatures, Holograms and all of this in STOP MOTION. If you love Stop motion animation and want to work on an exciting project then email us with your resume and reel. The Man Who Planted Trees from MrGreatShortFilms on Vimeo.